THE UNIVERSE NEEDS YOUR HELP! ARE YOU GAME? Welcome to Terracosm – an incredible adventure game where you’ll explore the Multiverse through amazing 3D Augmented and Virtual Reality games. Use your skill and smarts to journey through Alternate Universes to help Inventor/adventurer Ulysses Wolfe retrieve his lost iON probes before it’s too late. 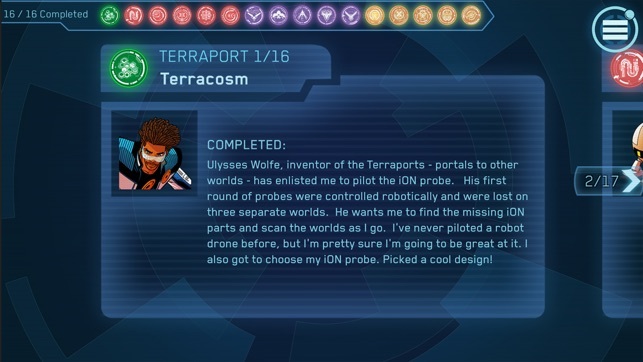 Blending the physical and digital worlds, Terracosm features 2 separate game modes where you can play on your own at home or go to your local Science Center where you can join the Terracosm team. Play Terracosm at the Ontario Science Centre! 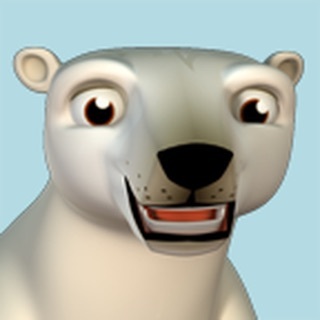 - FREE TO PLAY! – No in-app purchases! 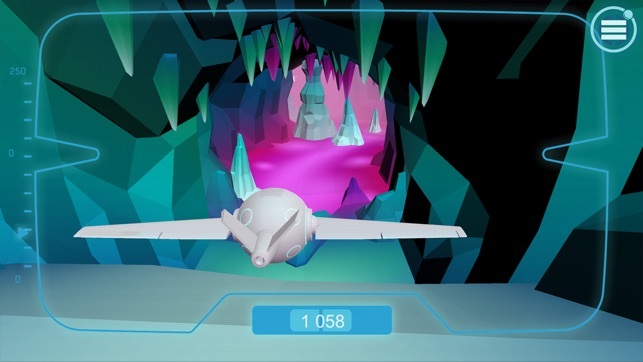 1) Aeron: a Virtual Reality flight simulation game on a frozen planet where players must fly the canyons and aim for the steam vents in order to stay aloft long enough to reach the end of each canyon and collect the broken iON piece. 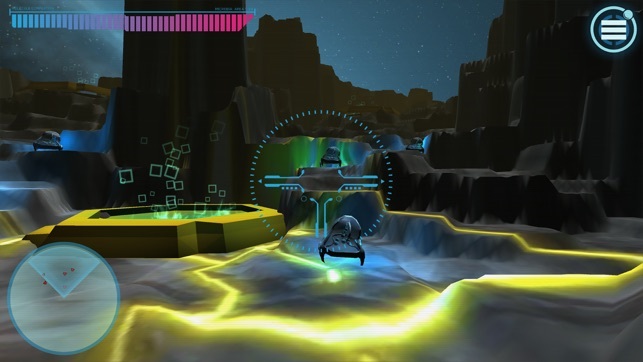 2) Electro: a Virtual Reality tower defence game on a planet where alien plasma creatures eat electricity to survive. 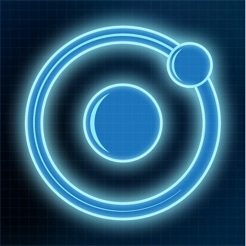 Players must clear an area of aliens in order to retrieve the broken iON pieces. 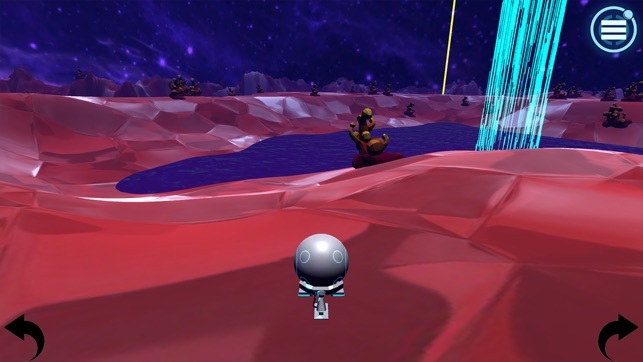 3) Fricto: a Virtual Reality avoidance game set on a smooth crystalline planet where players must maintain control of their iON on this frictionless world while they collect the pieces of the other broken iON without crashing into the jagged crystals that form this planet. © (c) (2016) Digital Howard Venture 1 Inc.